Dear friends, it’s true! Our second airplane is now operating in Bolivia. 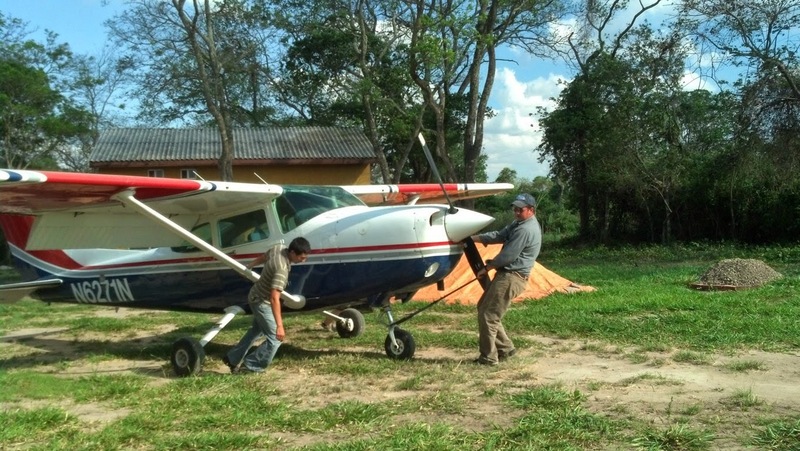 The Cessna 182 Turbo that was so close to being finished a few months ago is now operating in Bolivia. Praise the Lord! On October 9th at 4:07 pm, I flew the turbo out of our own runway. A handful of missionaries where present to witness the historical event. The airplane took off on a windy day and with a very light load that got it off the ground in a very short distance. 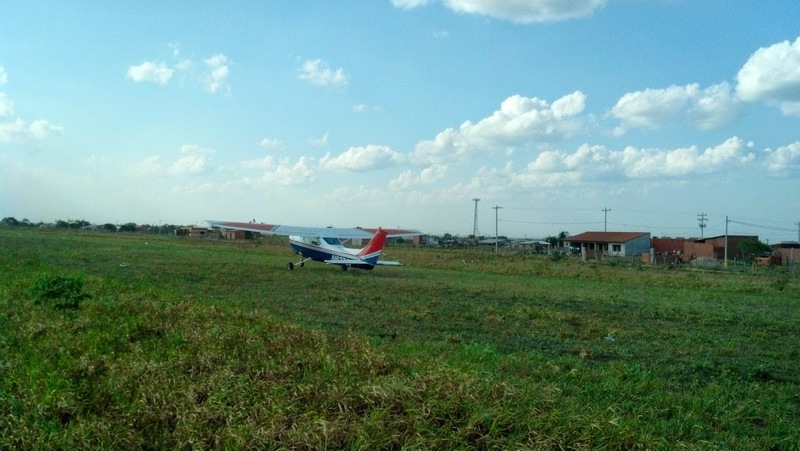 The flight was a short one, as the airplane was flown to a neighboring airport where some more testing could be done before its first flight out of the country to Manaus, Brazil. 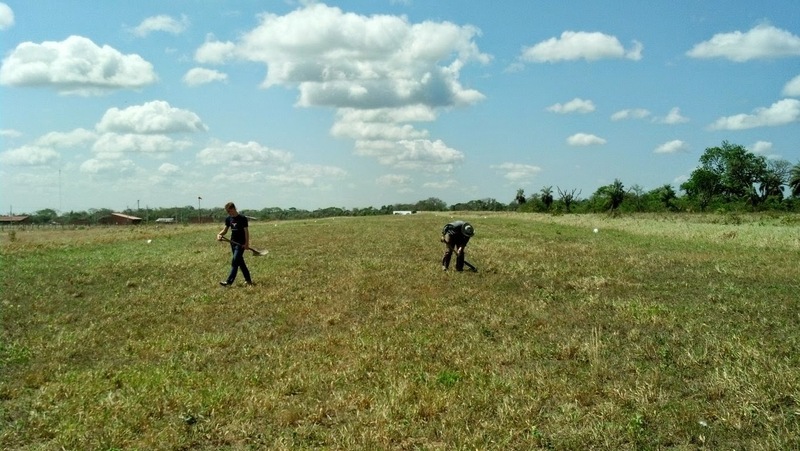 Steve, Brendon, and myself filling animal holes on the runway before the C-182's flight. Pulling the airplane out of the hanger. Running the engine up and lining up for take-off. Taking-off on a windy day, the airplane quickly came off the ground and into the air. 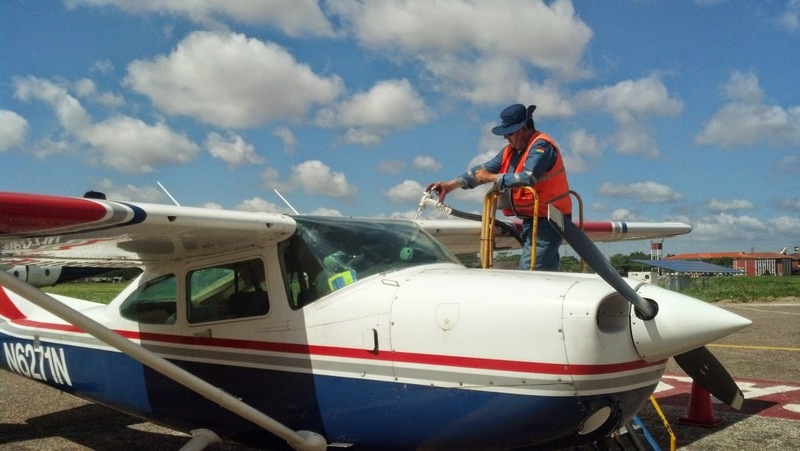 Steve Wilson flew two missionary pilots in training to receive additional training in Guyana. The flight would take the three of them over the jungles of Brazil to Manaus, at which point the missionaries could travel by land on to Guyana. 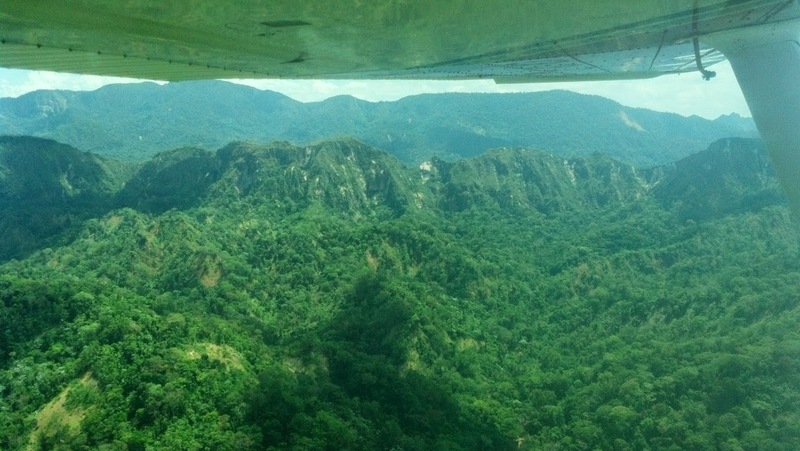 Between Bolivia and Brazil there is a stretch of jungle where no road exists, and the fastest and most efficient way was to fly them over and at the same time take the airplane out of the country for its required exit and re-entry. The flight took several days to complete and the airplane proved to be in very good shape after sitting for so long. After returning from Brazil, final testing was done on the airplane, and soon thereafter began servicing Bolivia. 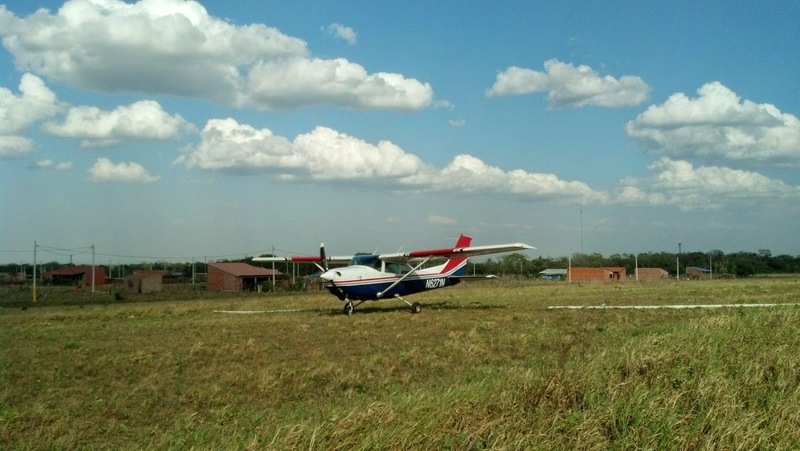 Both the C-182 and Mooney are now operating flights to Guayara, Rurrenabaque, and the lowlands of Bolivia. A week later the C-182 had its first medivac flight. 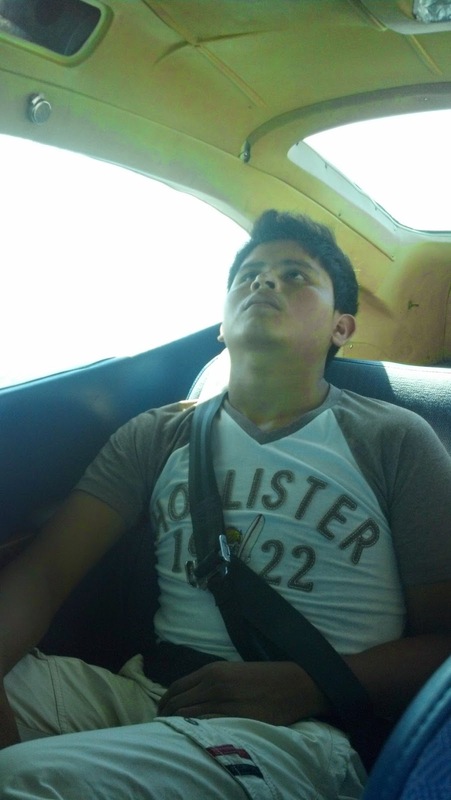 The call was to get a former student of our school in Rurenabaque who was coughing up blood. Too weak to travel on a dirt road in an old bus that would take at least a couple days to get to a good hospital in Santa Cruz, I was called to fly up and get him. At the same time there was a dentist from Argentina that came to do dental work at the orphanage in Rurrenabaque. Ruben, a mission pilot in training, also from Argentina accompanied me on the flight. Three hours and twenty minutes later we were in Rurenabaque, the dentist and her dental equipment and supplies where dropped off and the patient was picked up. Since the return leg of our trip had a strong tailwind, our flight back was forty minutes shorter and our patient slept the whole way. Gheorge Mecoti, who runs a couple houses for the sick, picked up our patient in his ambulance car and took him straight to the hospital. Gheorge later told me that the patient had Plerual effusion which means he had fluid in his lungs. He said that the doctor who specializes in this area was available when the patient arrived at the hospital and the patient was able to get the attention right away. He believes that the way things worked out so well was not by any random chance. I don’t believe it was chance either as many flights that happen are because the Lord directs our path to those who need it most. We hope to help many more medivac’s like this in the coming months. Fill-up at El Trompillo, airport. Ruben acting as co-pilot and Gabriela the dentist. Getting close to Rurrenabaque now as the foothills of the Andes mountains come into view. 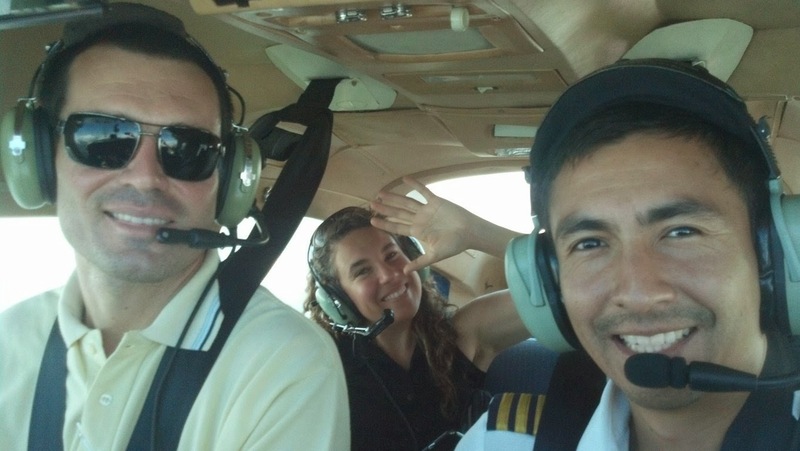 A couple months ago I was flying the Mooney to Guayara to drop off supplies and pick up returning volunteers. Minutes before takeoff I was told of two students whose father had died when a tree fell on him while logging. As I reached Guayara, sure enough I had the two returning missionaries and two students waiting for me. I was told that the father had died the day before and that tomorrow he was to be buried. The only way the two students could make it in time was for me to drop them off as opposed to taking the bus. I quickly agreed and made room for them in the airplane. I had to divert about 240 miles to the southwest in order to reach Rurrenabaque. Though the flight was somber, I was thankful that once again our airplane could provide support to our missionaries and students. The students made it in time to their father’s burial. Thank you for your prayers and support. 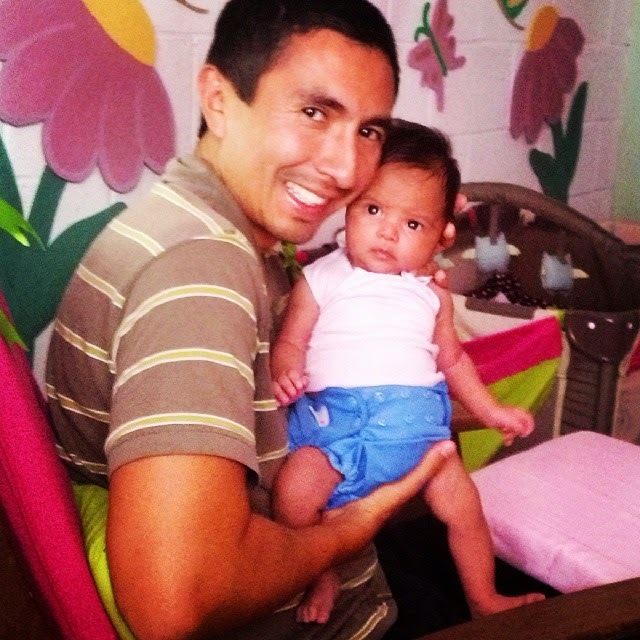 I hope to keep you updated with our activities in the mission fields of Bolivia. I also want to give thanks for the blessing the Lord has brought my family. Little Miah was born on October 10th. My wife and I feel so blessed to have her in our lives as we continue to serve the people of Bolivia. AVVOCATO BASTARDAMENTE PEDOFILO DANIELE MINOTTI DI RAPALLO E GENOVA ERA PARTE DELLA SETTA DI SATANISTI INC-LA BAMBINI CON DENTRO IL REGISTA PURE PEDOFILO GIUSEPPE LAZZARI (ARRESTATO) LA PEDOFILA ANSELMA DELL'OLIO E IL PARI PEDERASTA GIULIANO FERRARA! CHE EFFETTUA ANCHE, DA SEMPRE, TANTISSIMO RICICLAGGIO DI DENARO MAFIOSO, COME ROVINA O TERMINA LA VITA DI GENTE PER BENISSIMO (ANCHE ORDINANDO OMICIDI), ATTRAVERSO COMPLOTTI MASSO-N-AZIFASCISTI, OSSIA, DI LOGGE SATANICHE DI ESTREMISSIMA DESTRA. STO VERME SCHIFOSO DI DANIELE MINOTTI FACEVA PARTE DI UNA SETTA DI PEDERASTA BERLUSCONIANI. IL CUI KAPO', E' OVVIAMENTE, IL PEDOFILO MAXIMO, IL SUO CAROGNESCO MANDANTE DI MILLE CRIMINALITA' E STALKING VIA WEB, METASTASI DI DEMOCRAZIA E GIUSTIZIA: SILVIO BERLUSCONI. DAVA DEL GENIO AL SODOMIZZA BIMBI ( COME I SUOI COMPARI SATANISTI E SATANAZISTI DANIELE MINOTTI, GIULIANO FERRARA ED IL GIA' TRE VOLTE IN GALERA PAOLO BARRAI, NATO A MILANO IL 28.6.1965, DI CRIMINALISSIMA WORLD MAN OPPORTUNITIES LUGANO E WMO SA PANAMA), L' APPENA ARRESTATO PER PEDOFILIA: REGISTA GIUSEPPE LAZZARI ( PEDOFILO E NON PER NIENTE, DA SEMPRE BERLUSCONIANISSIMO... OO CHE CASO, OO). ED ECCO UN ALTRO TESTO CHE CHIARISCE QUANTO IL FIGLIO DI PUTTANA DANIELE MINOTTI STESSO, DA SEMPRE, RICICLI SOLDI KILLER, DI COSA NOSTRA, CAMORRA E NDRANGHETA, A GO GO! 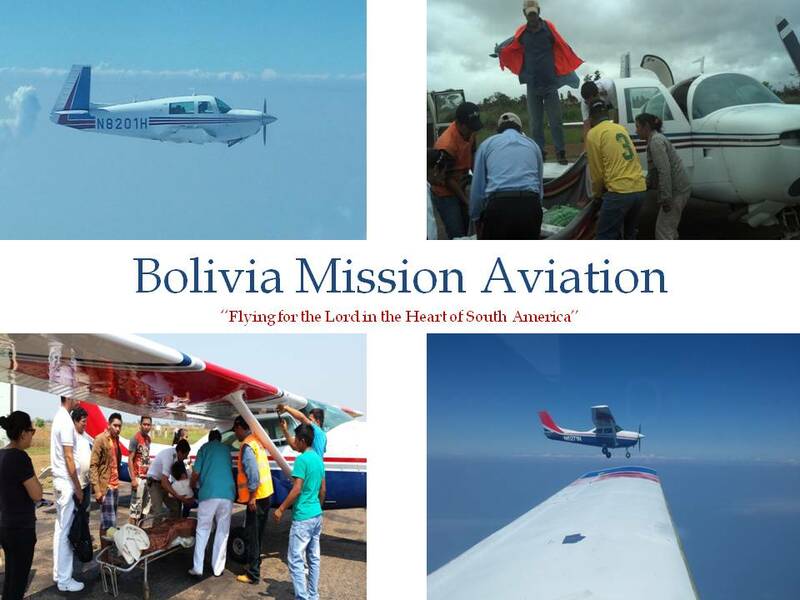 Working together with the Seventh -day Adventist church, we provide air support for the low lands of Bolivia. This includes transporting volunteers, moving supplies, flying mission pastors, and medical evacuations. Our purpose is to spread the message of Jesus soon second coming, using aviation to reach the unreached. If you would like to support this ministry, please use the link at the bottom of the page to be directed to our donation site. Thank you and God bless. ¿HASTA CUANDO SEGUIREMOS DAñANDO NUESTRA IGLESIA? Your gift is tax-deductible. Click on the donate button bellow to donate though paypal on the GMI website. Please make a note if you are donating towards a specific need. Thank you for your support!